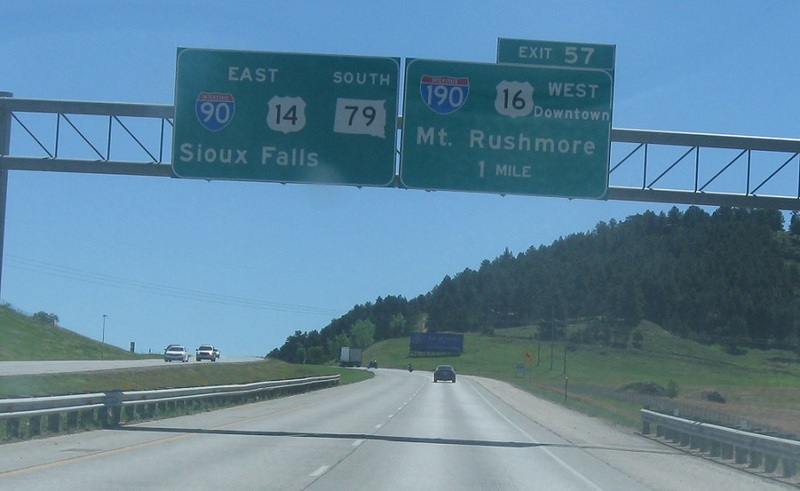 Reassurance shield after the SD-445 interchange. We’re 1.5 miles from I-190/US-16. 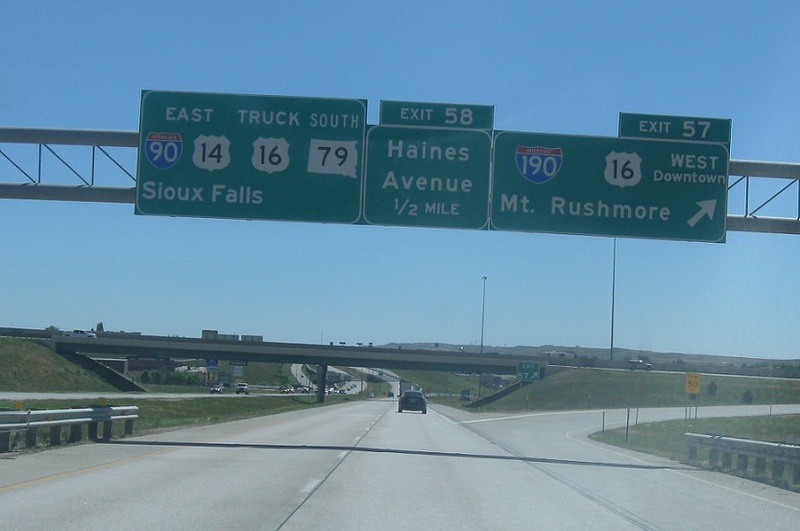 As we head over the hill from West Rapid City, we’re 1 mile from I-190 and US-16. Sioux Falls makes its debut as a control city. Exit for I-190, which carries US-16. This is the current eastern terminus of US-16, since I-90 ate it east of here. 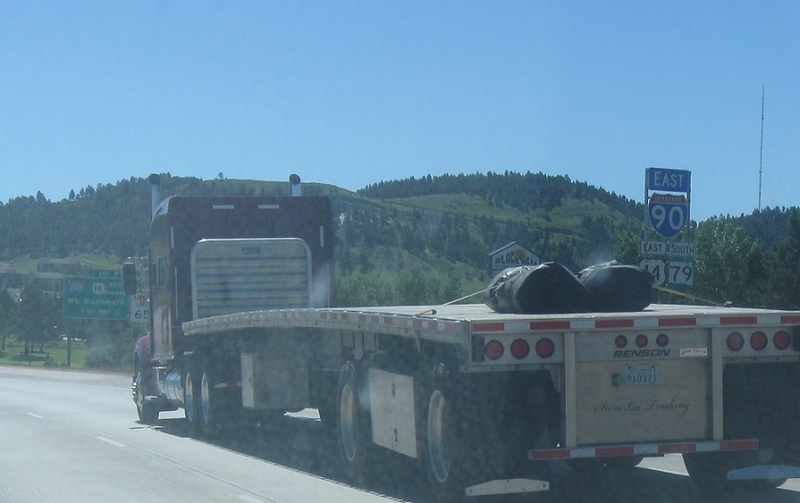 US-16 Truck joins the concurrency.